During their PAX West panel late last week, SEGA confirmed that the Nintendo Switch port of Valkyria Chronicles Remastered will launch to North America and Europe this October. The Switch port was previously announced as an only-for-Japan affair and is presently out on PlayStation 4 in both Japan and the western markets. For those who purchase Valkyria Chronicles 4 through the Switch eShop, you’ll be able to download the original with an automatic 25% discount off its $19.99 USD price point. 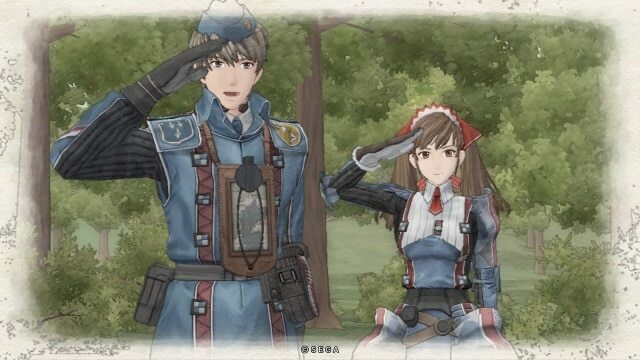 The remastered port of Valkyria Chronicles will include all its DLC content at no extra charge. 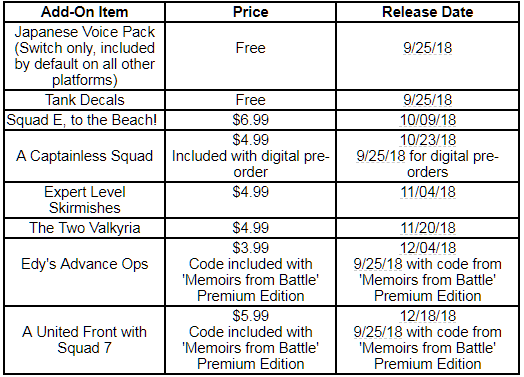 Not to be left out, SEGA also detailed the DLC schedule for Valkyria Chronicles 4 which begins on launch day. Owners of the game’s ‘Memoirs from Battle’ Premium Edition will have much earlier access to the ‘A United Front with Squad 7’ and ‘Edy’s Advance Ops’ missions. Both launch to the regular public in December. Valkyria Chronicles Remastered is penned for an October 16th launch date, while the latest sequel hits Switch and all other platforms on September 25th. For a slight taste of Valkyria Chronicles‘ action/strategy RPG gameplay, a free demo for the fourth game is available to download, and allows you to carry over your progress to the retail release.